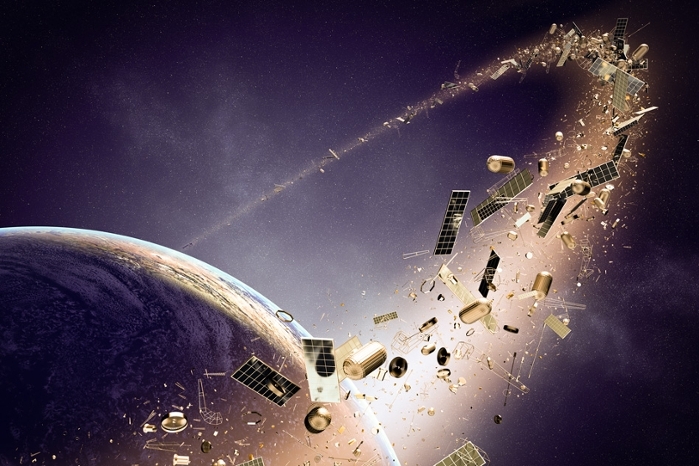 Can you help this scientist find distressed satellites? Satellite ID. Machine learning systems are typically trained using labeled images, and since no picture library of space hulks exists, researchers had to create thousands of simulated images like this to show what a repair satellite would see as it patrolled a region known as the Orbital Graveyard. Courtesy Stanford Space Rendezvous Lab. His Space Rendezvous Lab (SLAB) is working with the European Space Agency (ESA) to spur development of an artificial intelligence system to direct the orbital equivalent of a tow truck. The two groups are hosting a competition for an AI system that would identify a derelict satellite and, without any input from Earth’s assets, guide a repair vessel to navigate alongside to refuel, repair, or remove it. D’Amico’s navigation system and algorithms are designed to cope with the tight constraints of space travel. The research will be integrated into two missions planned for launch in 2020: the Impulse One by Infinite Orbits, a technology demonstration of the space tow truck, and the Starling mission by NASA’s Ames Research Center, which will show how a swarm of spacecraft can navigate autonomously. In contrast to prior satellite projects, these new missions employ multiple nanosatellites, each of which has strict limitations in terms of size, weight, power availability, and maneuverability. The navigation system that D’Amico has in mind would be inexpensive, compact, and energy-efficient. To spot defunct satellites, the repair vehicle would rely on cameras that take simple gray-scale images, just 500-by-500 pixels, to reduce data storage and processing demand. Barebones processors and AI algorithms that come out of the competition would be integrated directly into the repair satellite. No ground communication would be required. The goal is simplicity: processors and algorithms that require low-resolution images and limited computation to navigate space. The competition, which began February 1, will invite machine learning and AI labs from around the world to visit a portal developed by ESA. Entrants will have until July 1 to download the images, work with the data, train their algorithms, and submit results in the virtual competition. D’Amico’s lab will use the work contributed during the competition to evaluate and improve the performance of the navigation system that his Stanford team has already been developing. Read the original article on Stanford's site.